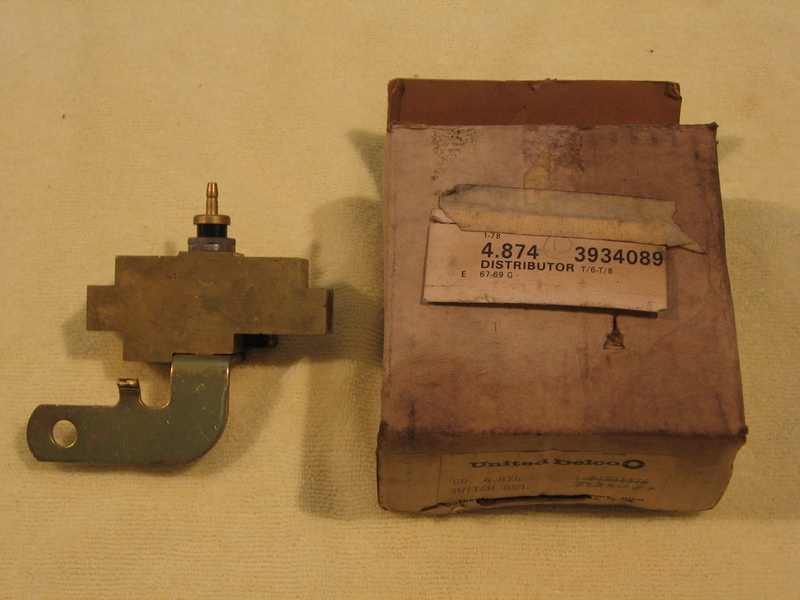 New Old Stock (NOS) GM 3934089 brake pressure differential switch assembly, also known as a pressure differential valve or distribution block, date coded 7-352 (December 18, 1967). Original applications include the 1967 - 1969 Buick Skylark, 1967 - 1969 Oldsmobile Cutlass and F85, 1968 - 1969 Chevrolet Chevelle, and possibly other GM products - please check your references to be sure. A replacement box is included. Doesn't your classic American muscle car deserve better than a reproduction part?